Lady Allen, center, chats with Percy Aiden in a courtesy call to Kings House. Looking on is Ms. Tricia Grier,IBI Project Officer. Earlier this year, The Gleaner’s Youthlink published a dynamic set of stories in a weekly series, Above It All, featuring extraordinary teens who have overcome extenuating challenges. The response to the series has taken various forms but for one interviewee, his recognition took a distinguished tone. 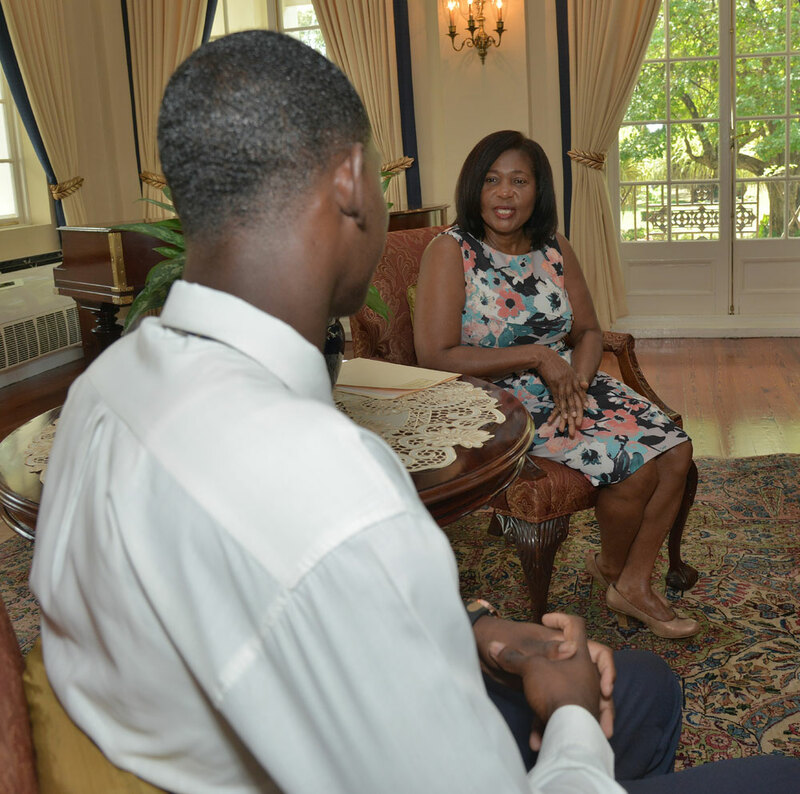 Percy B Aiden’s* story was published on February 6, 2018 and picked up the attention of Lady Allen, the Governor General’s wife, who has offered to assist the youngster. Aiden killed his cousin at thirteen years old after a game of football went south. He spent time in juvenile detention where he excelled academically and socially. Later pardoned by the Governor General, Aiden is now enrolled in college. Lady Allen’s assistance came in the form of school support for the changed young man, including a donation of a brand new laptop and accessories. The handover was made at Kings House, recently. Lady Allen says she knew Aiden before the article. An educator for 25 years, Lady Allen says she uses her platform now to assist young people whenever she can. 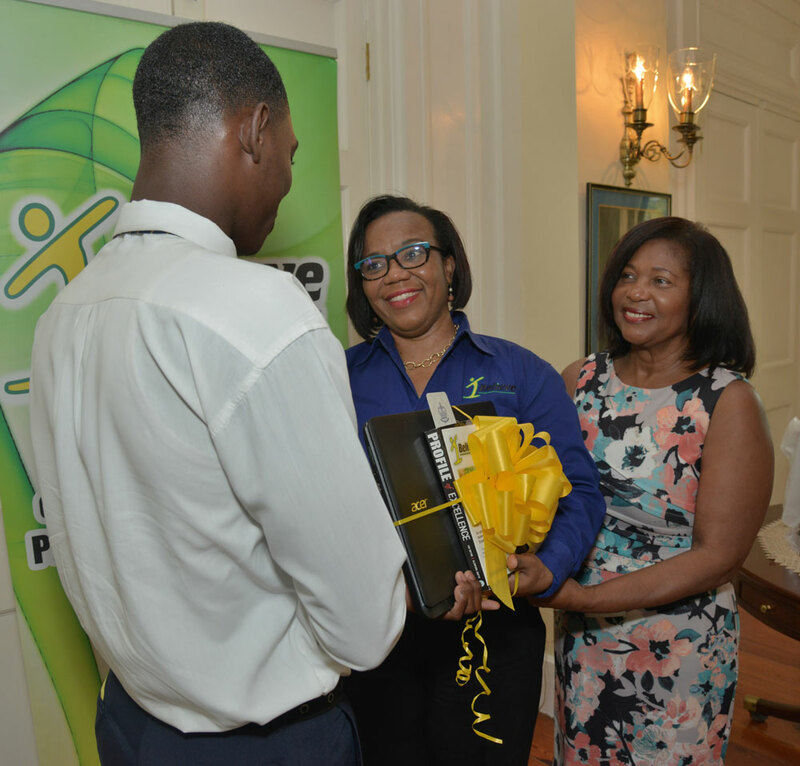 Through her I Believe initiative, she has been privately doing so with a number of younger Jamaicans and is now formally pledging to assist Aiden as well. “My husband (had) this consultative breakfast where we spoke to people and the three areas that kept coming up were education, family and youth. That’s how the I Believe initiative started, upon these three pillars,” she said. She explained, “Because Hill Top is cold, their clothes don’t dry well on the line and they used to get rashes on their skin so they are singing that they are not going to be having anymore rashes.” She says reading the Youthlink article allowed her to reconnect with Aiden, having reached out to author of the series and Coordinator, Kareem LaTouche for his contact. She gave Justice Morrison Aiden’s number, per his request, so he could get to know the youngster. “He called him and said to him, ‘This is Dennis’,” she remembers. “I called him (Aiden) and said to him, ‘Did the President of the Court of Appeal call you?’ He said, ‘I got a call from Dennis’ and I got mad at him. I gave him the little talk and said this is how you address him,” she recalls, laughing. Given the issues of underperformance among boys and social stigmatisation, Lady Allen is especially pleased to be able to help some of our males.